How to multiply an audience with live streaming. ESH 2018: from Europe to China. At the European congress on Hypertension just held in Barcelona, thanks to a broadcasted session 5.000 additional attendees from China were reached. It is a success which promotes also the next real-life edition! Is the event live streaming a new trend? More and more PCOs are challenged by associations clients to reach new potential delegates, to make conference attendance grow and to attract sponsors to invest in new markets. 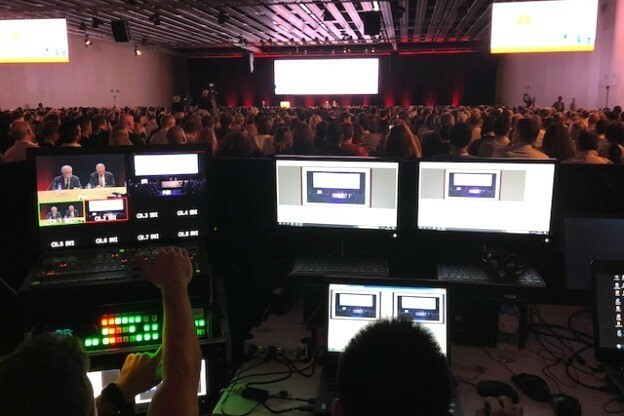 At AIM Group we experienced live streaming as a new and effective opportunity to attract the interest and communicate the event in a unique way. Live streaming is more and more impactful in conference planning and format. This is what recently happened at the “28th European Meeting on Hypertension and Cardiovascular Protection” held in Barcelona 8-11 June 2018, an important medical congress with a long history and a very rich programme. It usually attracts more than 2.500 international delegates and AIM Group has organised it from the first edition. ​With the support of a sponsor willing to open up new markets, a live streaming between Barcelona and Beijing was organised during the presentation of the new ESH Guidelines. The event was named “ESH in China” and was organised in collaboration with the China Hypertension Alliance. While the 100 participants gathered in a meeting room in Beijing could virtually attend the conference with the help of a simultaneous translation and a moderator, there were also almost 5.000 attendees in China following the event through streaming. These numbers are amazing and even more when you consider it was 11.00 pm in China! In this way we broadened the potential ESH audience by transforming a face-to-face meeting in a hybrid event, typical of the digital era. How can you keep the attention of people watching their screens high? This new challenge required a well-defined strategy. Three elements are critical: a dedicated moderator, an engaging storyline and the time for interaction. With the spread of broadband internet and 4G smartphones, broadcasting live streaming has become one of the means for expanding the reach of meetings making them really accessible. And there is no reason to fear that live streaming will discourage people to attend the real-life event. Experience demonstrates that what actually happens is quite the opposite. Associations who proposed live streaming during their meetings experienced very little cannibalisation of attendees and it allowed them to reach people usually not touched by other traditional marketing materials. 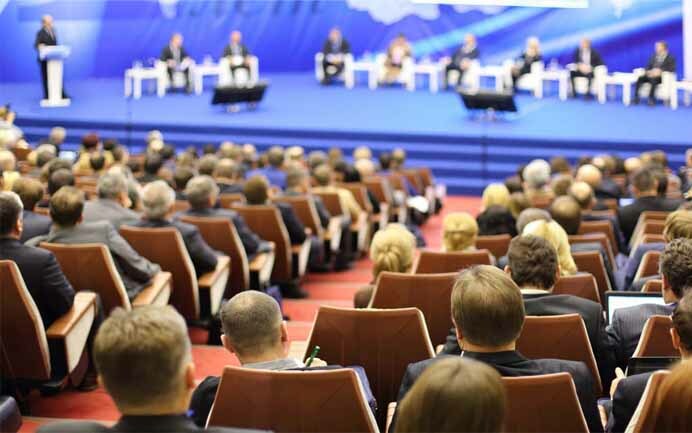 Furthermore, experiencing a conference in live streaming motivates, like a teaser advertisement, more people to be there next year: many associations reported as much as 30% of their virtual audience that the following year chose to attend their physical meetings. In brief, innovation with a solid strategy is always worth it!